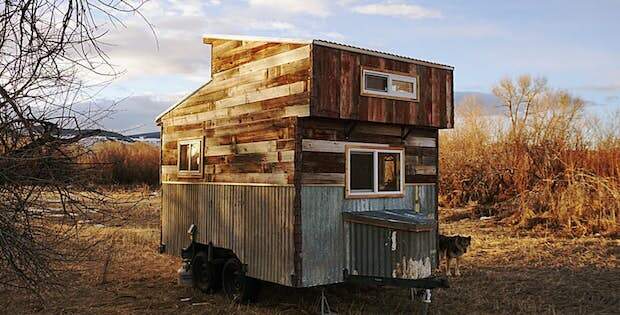 We Love Tiny Homes.. 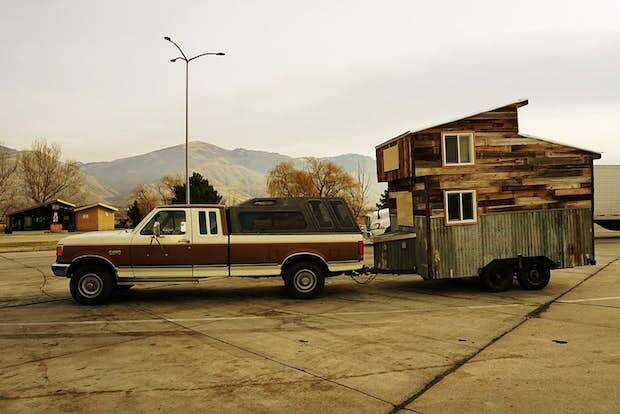 But How About an Ultra Tiny Home? Say hello to the Wheelie shack! It’s 12 ft. long, 7.5 ft. wide, 13 ft. tall, well within all legal towing restrictions. 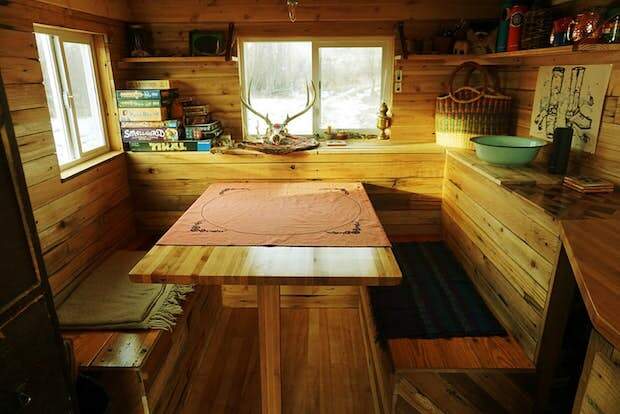 Built by a couple who initially planned on making it their own home, they found it too spacious for their liking, as they have been used to living out of their truck for years. 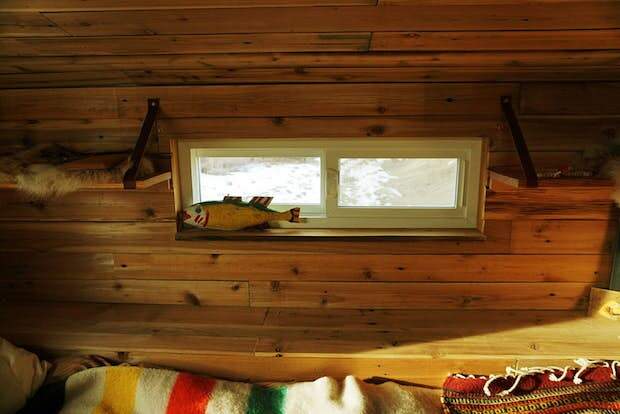 The home is made of reclaimed wood, with a lot of hidden storage space. The kitchen area has a burner stove with an oven, and the dining benches seat up to 4 people… and surprise! 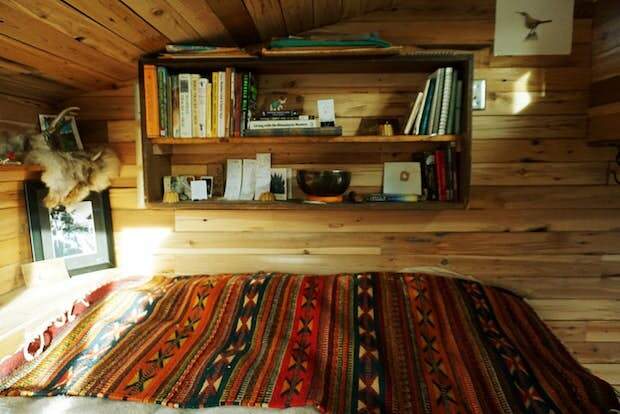 It converts to a sleeping area as well. The loft can fit a queen bed and can sleep 2 people. 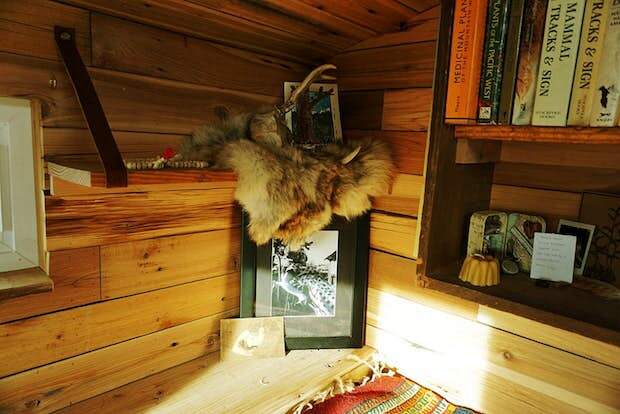 The tiny home also has professionally installed spray-foam insulation. The Wheelie Shack is powered by a plug that can be attached to a power source. There is no toilet or plumbing. The Wheelie Shack can be yours for $30,000. It is registered in Utah, but the owners are willing to deliver it anywhere in the US. The interior is very snug. 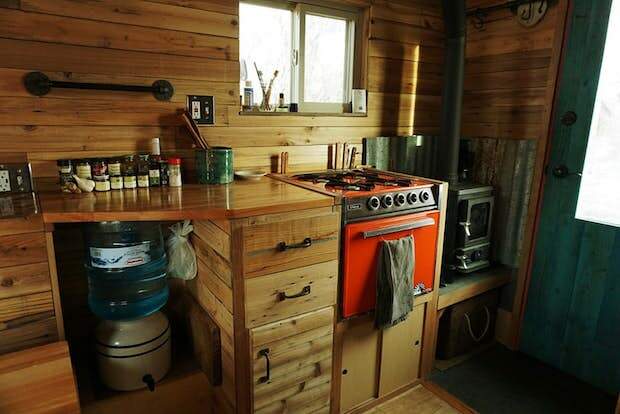 Visitors enter into a kitchen area with a small four-burner propane stove and oven, plus a wood-burning stove. It has more storage space than you might expect given its size, with lots of shelving, drawers and little nooks installed throughout.